Gosh, I can’t believe how attractive the prices are! I wanna dig in too! TGIF! I think it is too troublesome to eat. Need to peel crab etc. Haha. One reason I seldom eat crab. Lazy to eat it. Lol. But dont think there is any mee ketam in Kuching yet. I wouldnt mind give it a try; at least once. 11 pm or 12 pm? 11 a.m. or 12 noon, you mean? 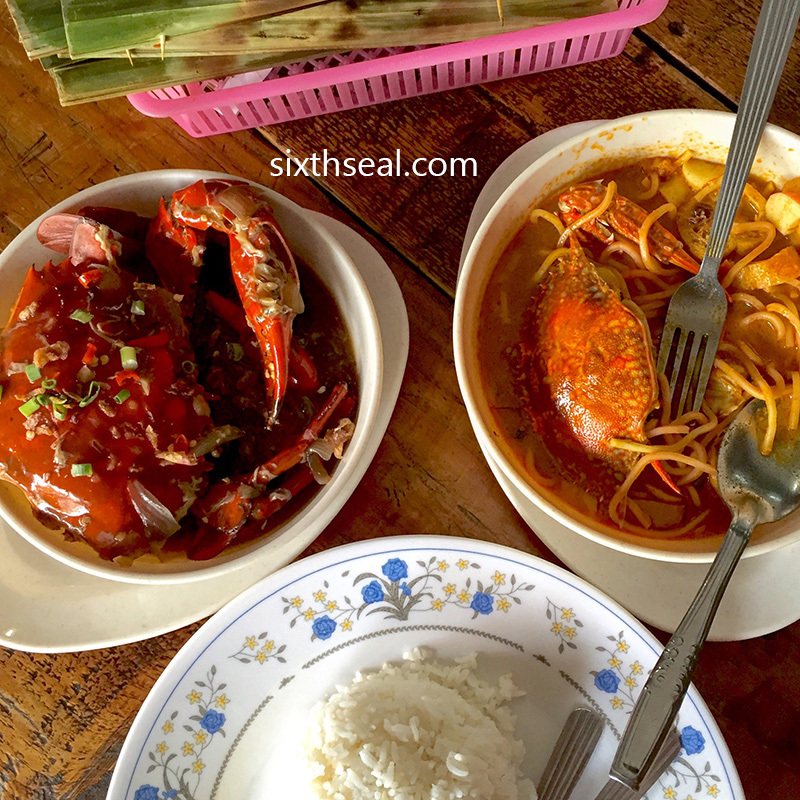 Yes, those sea flower crabs ain’t that nice – that is why we seldom see it in Sibu, not popular. Cheap too. 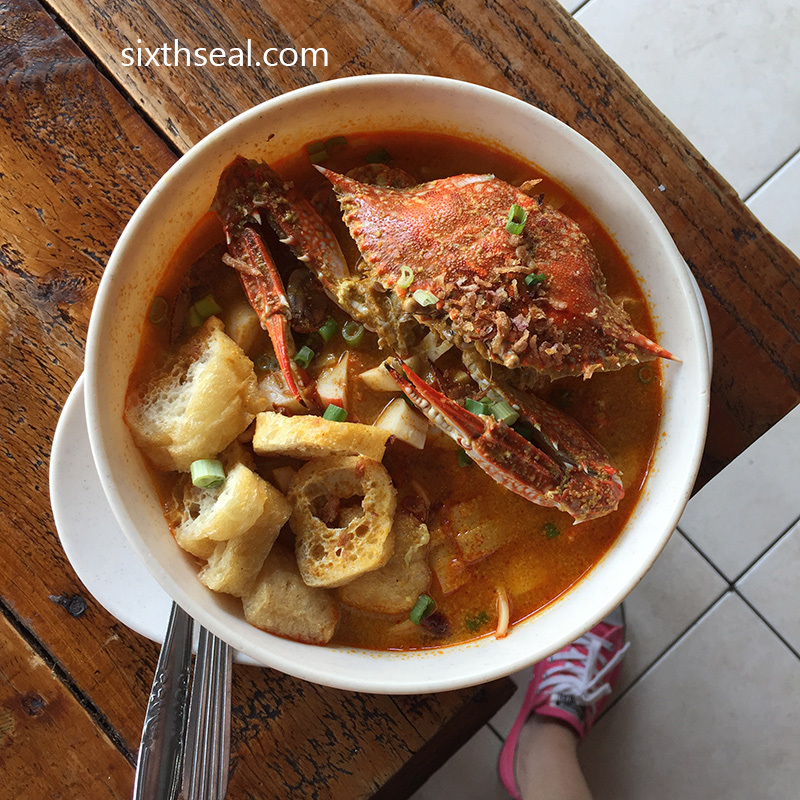 Mud crabs are a world above those sea crabs and I would say the same about the prices too. LOL!!! I did hear sometime ago though that those mud crabs are not for Muslims, something about it being alive in water and on land or whatever, I’m not too sure…so they are not allowed to eat those. 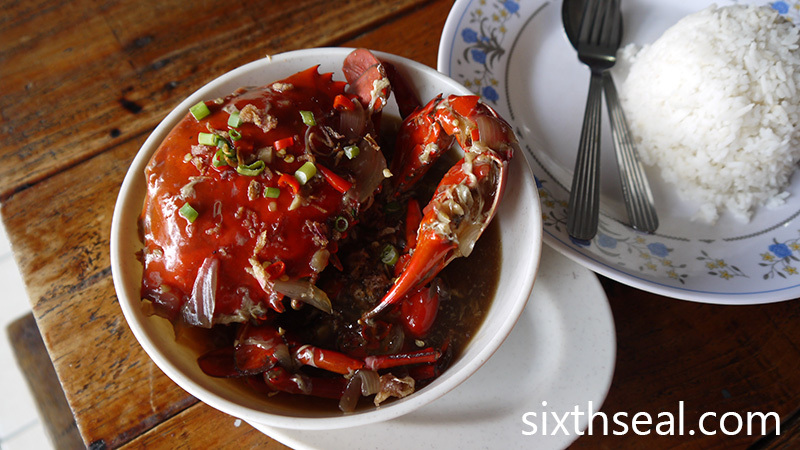 To clarify and to share, Muslims can eat mud crabs (ketam nipah). It is the ketam batu that is forbidden. A simple rule of thumb is that ketam nipah, a sea crab like the flower crabs, have a paddle (for swimming) on the back legs whereas the other crabs do not. Thank you. OMG! Look at the crab!! Hungry already la now! Wah, looks like you are on the go to taste all mee ketam. Must be very tasty but too bad I can’t take too spicy food. definitely looks delicious but definitely can’t compare with the one u had in japan. 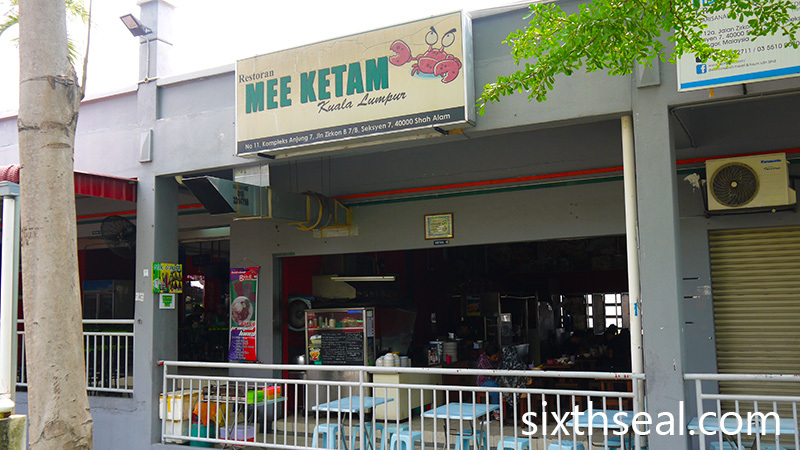 Why are they call Mee Ketam KL when they’re not in KL but in Shah Alam? Kekeke! 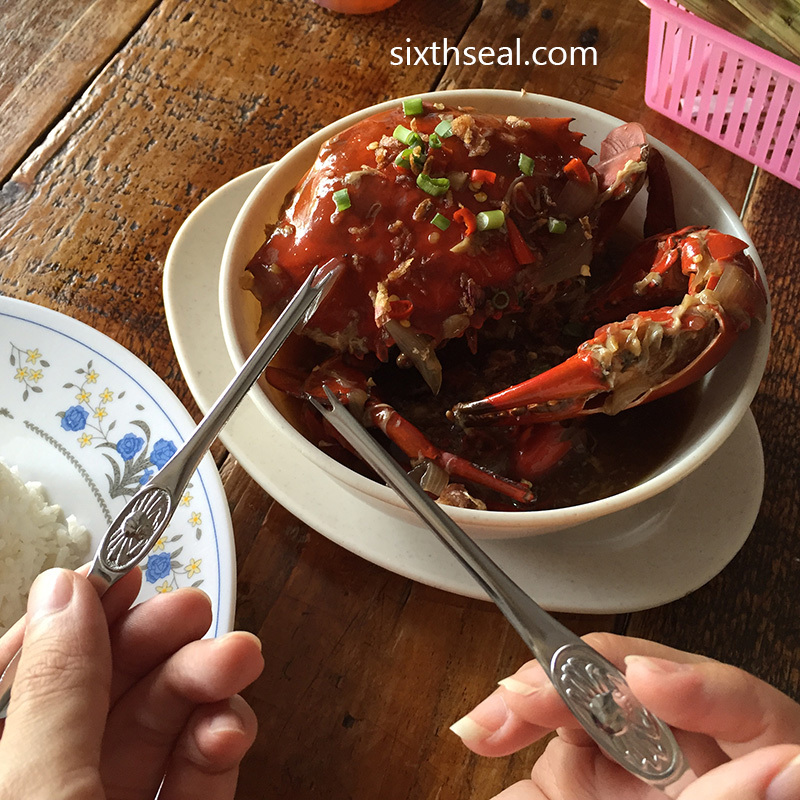 :D Would certainly prefer to eat mud crabs over flower crabs. I thought Islam is not permitted to eat mud crab? 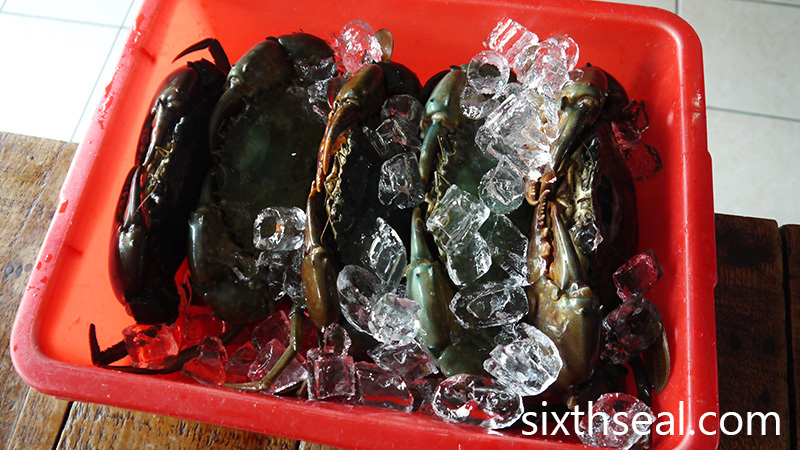 Actually Muslims can eat mud crabs (ketam nipah). Unfortunately, even may Muslims are confused on the mud crabs. It is the ketam batu that is forbidden. A simple rule of thumb is that ketam nipah, a sea crab like the flower crabs, have a paddle (for swimming) on the back legs whereas the other crabs do not. Thank you. Jalan Dato Keramat? where is it? i wanna go there right now pls!